It is necessary to have a minimum of 2 buckets for the bokashi process. Fermentation takes two weeks after the bucket is full. During this time, you will begin using your second bucket. The two buckets will then be in rotation of filling and fermenting. 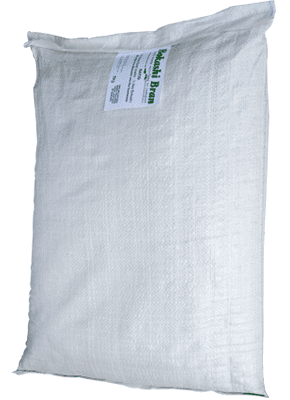 Each bag will treat about 1½ buckets of food waste. 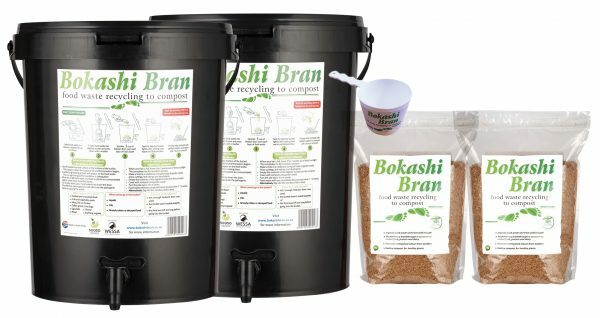 Sprinkle a scoop of Bokashi Bran over every 7 to 10cm layer of food waste. 100ml measuring scoop for sprinkling Bokashi Bran over the food waste to stop it from rotting. 12-month warrantee on the bucket, tap and straining tray. The taps are imported from the UK. The straining trays have solid ‘feet’ to ensure they don’t collapse after a few months. T’s & C’s apply. SKU: bbsk. Category: Bokashi Bran. Tags: bokashi buckets, bokashi digester buckets, bokashi starter kit.